Fantastic idea about how to help high school students get ready for college — and I think it would help them STAY in high school! Even the brightest, most successful high school students have trouble when faced with the unstructured schedule of college. This approach with a phased-in schedule would be a great way to give kids a safer place to experience this schedule, as well as keep kids engaged. Seniors are DONE with school by their last year, and giving them more responsibility and freedom could be a great way to keep them engaged. Would some of them abuse the privilege? Of course. Guess what: they already find ways to sneak out of class and even if they are in class, they aren’t always present. Will this happen? In most schools, no way, at least not for most kids. You’ll hear about transportation issues. You’ll hear that kids need to be in school. The transportation issue is real, although there must be ways to work around it. Had to post this tweet from the Shut Down Learner. She’s now a freshman in college…. It was always her problem that she was struggling. Hmmmm. Maybe not so much? 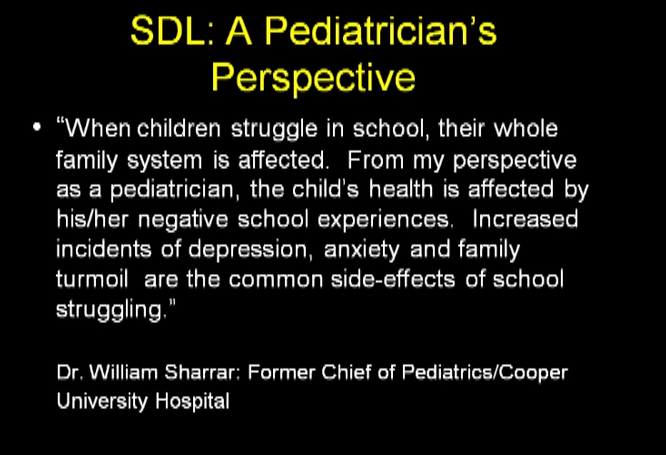 I have never posted just about the Shut-Down Learner concept by Dr. Richard Selznick. I’ve referred to it, but need a more thorough post. I ran across Dr Selznick’s concept of the Shut-Down Learner about a year ago. It completely fits. We’ve got three of the four. Screenshot of his PowerPoint that is it in a nutshell.